Optica is truly a puzzle that will put your mind to the test. 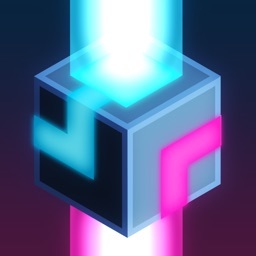 Described by developer Glitch Creative as a spiritual successor to 2013’s Strata, Optica offers more than 70 different puzzles with different shapes, illusions, ​and complexities. In each puzzle, you’ll need to create pathways of light while collecting the spaces along the way. But to no surprise, everything is not as it seems as there are different geometric optical illusions throughout that will test your spatial and logical reasoning. You’ll need to rotate shapes to shift perspective to and see through the illusions. While the puzzles are definitely challenging, almost anyone can pick up gameplay quickly thanks to the easy-to-learn tapping and swiping controls. The bright visuals are complemented by a relaxing soundtrack to help your mind focus on solving each puzzle. Optica is designed for the iPhone and all iPad models. It can be downloaded now on the App Store for $2.99. A spiritual successor to Strata, the game combines simplicity and geometric design while testing your spatial perception. Previous articleDo you enable stay awake while charging when you run android appium automation?